After two years in the planning phase and a six month installation process, Campbelltown branch has a new water storage system. “The old system was past its use by date and in need of replacement,” explained Andrew Deacon, Operations Manager. The tanks were installed over two stages. The first stage involved installing a new heat exchange and condensate storage tank in September last year. This was followed by further preparation and planning for stage two. At the end of 2014 a 27,000 litre cold water tank and a 15,500 litre hot water tank were ordered. 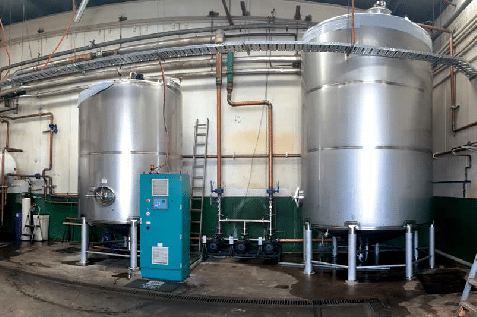 “We also had to build new control panels for the hot water pump and cold water pump, as well as a stand by pump and tank control levels,” said Andrew. These were all installed in February this year.